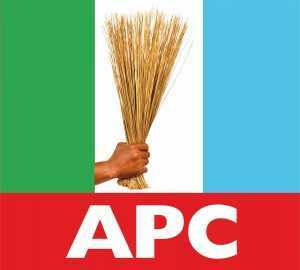 Malam Garba Shehu, a presidential spokesman, in a statement in Abuja, said the APC leaders made the promise at a meeting held on the margins of the President’s state visit to Kano on Thursday. He said that the leaders adopted President Buhari as their candidate for the 2019 general elections, saying they also expressed commitment and support to Gov. Abdullahi Ganduje as their sole candidate for 2019. According to him, the State Chairman of the APC, Alhaji Inuwa Abbas, hinged the endorsement of the president on his achievements in the last two years, especially in the fields of security, the war against corruption and the restructuring of the economy. Abbas said: “Security is important for everyone, not just for Borno, Yobe and Adamawa states. ‘‘It’s even more so for us as a commercial and industrial state. On a humorous note, Gov. Ganduje said the party was prepared to drag the President to court to force his acceptance of the second term ticket. In his response, Buhari noted the need to sanitise party politics by ridding it of vote buying and violence. “What I saw in the elections in Kogi, Bayelsa and Rivers, the use of money and those headless bodies really upset me. I don’t wish to see that anywhere. “I would not have won if money and killing was the modus operandi. That is my view of politics,” the president said. Shehu stated that, “President Buhari did not say he accepted, nor did he decline to accept the endorsement in his speech even after the party leaders promised to procure the nomination forms for him and threatened to sue if he declined the gesture."